Greetings and salutations to all of my cherished video programmers! It’s Andy Gesner and the staff from HIP Video Promo welcoming the beautiful autumn weather we are having here in New Jersey. Haven’t heard of The Kooks yet? Their debut album, Inside In / Inside Out, won’t be released in America until the end of the month. But in their native U.K., 2006 has belonged to the Brighton quartet. 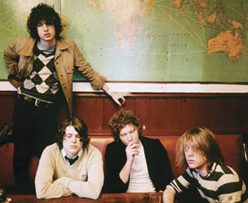 The Kooks have placed three singles in the British Top Ten this year, and the Tony Hoffer (Belle & Sebastian, Beck, Air, Phoenix)-produced Inside In/Inside Out seized the top spot outright this summer. Since the release of “Eddie’s Gun”, their lead single, the band has been all over the English airwaves; they’ve rocked the gigantic European festivals (Leeds, Radio 1’s Big Weekend, T in The Park), and been touted on national television by Sir Elton John. Inside In / Inside Out is one of those instant-classic Brit-rock albums that simply feels the soundtrack to a season. The Kooks are so hooky, so tuneful, and so pop-smart that they’re able to make every drum hit and guitar downstroke seem indelible. Frontman Luke Pritchard launches into each line with an enthusiasm that’s impossible to contain, and it bleeds between the track breaks and stands as a continuous statement of purpose. The album burns in with the minute-and-a-half “Seaside”, blows through twelve other tight and succinct rockers, before burning out with “Got No Love”. Only one song breaks the four-minute mark, and the singles are all brief – but they’ll stay with you long after the disc leaves your changer. Unfettered by tabloid framing, “Eddie’s Gun” turns out to be a very frank, very brash, but also very vulnerable confession of fears about sexual performance, and an updating and inverting of Elastica’s “Stutter”. Witty and playful, “Eddie’s Gun” manages to make an articulate statement on a difficult subject – and in 2:15! The Kooks have worked with video director Marco Sandeman before, and they continue the winning streak with “Eddie’s Gun”. With its shots of the band in tight London alleyways, that video certainly looked British – but its creative use of letterboxing suggested the influence of Hype Williams and other mainstream U.S. directors. Sandeman is always conscious of the parameter of the frame, and he likes to subdivide the screen and suggest fragmentation by breaking up the image in non-traditional ways. The “Eddie’s Gun” clip is even more reflexive and self-aware: here the Flynn Productions director plays with the sequential nature of film. The band is shown performing within the frames of a strip of celluloid; the bars flip by, and the group keeps roaring away, just barely contained by the plastic parameters. Sandeman makes a visual analogy between the film reel and other strips of parallel rectangles – ladders, window casings, the rails of train tracks. He drives the point home by shooting a copier machine, spitting out images of the band in progress, but always in the name of a restless search to break free of the four walls of the frame. At the end of the clip, the members of the Kooks each knock down a white door; held together at right angles, like a box, the band busts free of its fetters. 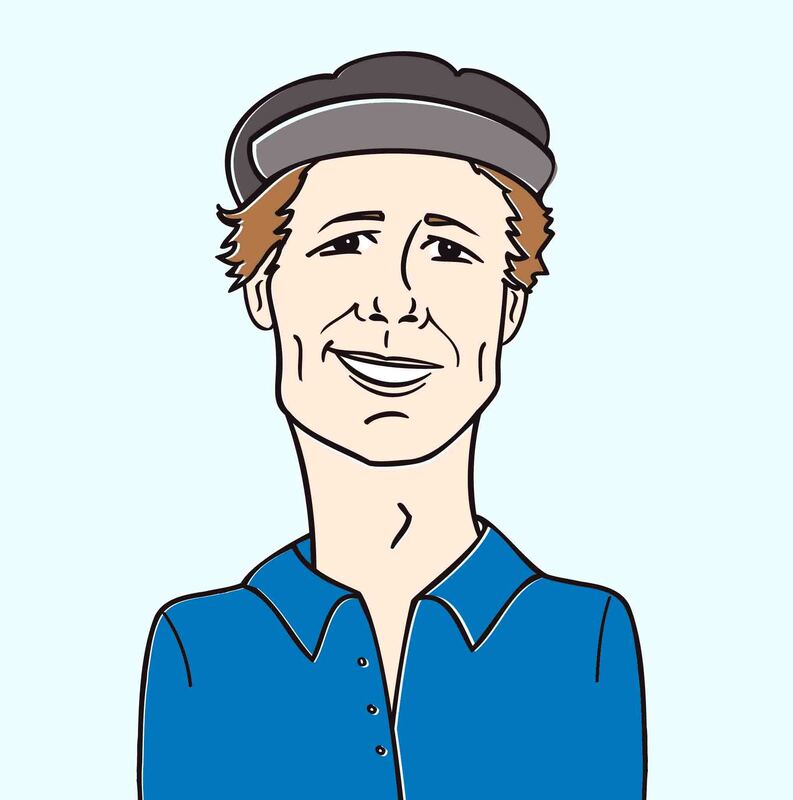 Once again, it is the musical savvy of Krista Crews and all the fine folks at Astralwerks who have brought you yet another video your viewers will embrace. You can be sure that we will have a plethora of copies of Inside In / Inside Out for all of your on-air giveaway needs and would be glad to help set up video interviews when the band is in the US later this year. If you need more info, call Andy Gesner at 732-613-1779 or e-mail us at HIPVideo@aol.com. You can also visitwww.Astralwerks.com, or www.TheKooks.co.uk to find out more about The Kooks.